Our former customers guarantee the quality of your stay at Casale degli Ulivi. We take care of the structure and your stay with passion, offering you an unforgettable experience. Did you have a fun time at Casale degli Ulivi? Let future guest know your experience! 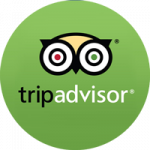 If you can, please consider publishing your review on our TripAdvisor page. With a single click on the button below you will be redirected directly to their form! We enjoyed this fantastic estate for 6 days, all 5 children and four adults of us. The landlords were forthcoming and service minded upon arrival, and then gradually became “invisible” despite the fact that they stayed in the other house on this vast property. The children loved being in their own “wing” of the house, and almost developed fins from practically living in the spacious pool. The villa is as Tuscan as it gets, and let’s you feel like a native while at the same time enjoying luxurious and modern facilities. You can choose from shaded areas or sun decks, inside or outside dining – just pick your patio:-) The area feels secluded and private, yet close to a number of small villages and great Tuscan destinations. This is a type of property that is an experience in itself, encouraging long lazy afternoons on the sun bed, in-house dining and poolside evening drinks. I stay with my family one week, this place is amazing for relax, very quiet, fully equipped villa, beach is closed max 10min by car. We took a look in some places around and historical, traditional Tuscany was welcoming us. Next year we will come for more days, it is clear today! The Casale degli Ulivi was a fantastic base for our week stay in southern Tuscany. Located just outside of the lovely town of Capalbio it was a short distance to both the town center and the sea. The house provided us all the necessary amenities and struck a perfect balance of feeling like our home away from home. Having the owner only a short distance away provided us with an even more authentic Italyn cultural experience. While affording us complete privacy we benefitted from their local knowledge and even one night their expert pizza making skills. They added to an already amazing experience. The outdoor space was an absolute highlight. The pool and multiple outdoor seating areas gave us the opportunity to dine “al fresco” for all of our meals and enjoy the incredibly beautiful surroundings. We had a wonderful stay in August 2017at Casale degli Ulivi, dealing with staff Andrea and Lorella on site, who welcomed and give all the instructions and suggestions we needed. She has been helpful in all the aspects. Villa Casale degli Ulivi is truly a fabulous place to stay at. The owner was very respectful of our privacy and available to assist us before and during our stay. 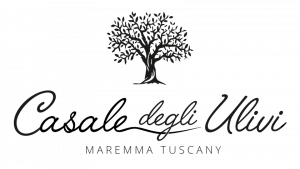 The villa itself is well accommodated and clean with a sparkling pool and beautiful gardens overlooking an olive grove and the beautiful Tuscan countryside. We will definitely recommend this villa to our friends and family and have no doubts they will also love it. Exactly what we were looking for. We stayed here for three months of June and July, the weather was a steady 81-83 degrees F. Usually a bear of the water and of course ww had our fault swim . The pool was fantastic, very clean and light on the chemicals. The dining board was a blast! The house itself is lovely, sounds doesn’t travel so it is always nice and quiet. Each room was very comfy especially with the air conditioning. The site was perfect for visiting guests to have privacy and a small kitchen and laundry area with a bath. The house keeper is very sweet and works around whatever you have going on… Sleeping late or guests. She has wonderful. She also cooked for is when we had a number of people and did a great job! The only thing that could be tough for some people is in July the kitchen can be got for cooking a big meal. It’s fine for a quick breakfast but to cook for a long time on the stove it gets very warm. The outside dining table and gazebo by the pool are perfect for hanging out all day… Very nice and shaded. I was a little nervousness about having the owners on the property but they kept to themselves and let us know at check in we could stop over and ask for anything… We did a few times and it really paid off! They gave us great suggestions and even showed me how to grocery shop there, it is slightly different then the states. They are a lovely couple and want to make sure you a have a wonderful stay! Perfect holiday in a perfect home. We were a group of ten friends looking for a place to relax and to learn about the wonders of Tuscany. CASALE DEGLI ULIVI is just that. When you arrive you realize that it is located in a place surrounded by olive trees and the house is as impressive as it appears on the website of WINDOWS ON ITALY. All facilities are in perfect condition to not have to worry about anything and spend a nice days with your family or friends. In a few minutes you can access the typical villages of Tuscany to eat and taste incredible wines or you can even reach the sea for a nice day at the beach. For me it was an incredible experience that will definitely repeat another time. The facilities and the quality of this book have done to become an absolute success. Strongly recommended! We have been there for 2 weeks with the whole family (2 adults, 3 kids). The house had plenty of room for our size, is well set up also for more than a holiday stay and overall surprised us positively on arrival. It is surrounded by a generous and well kept garden full of olive trees and a large pool. The house was very clean on arrival, and was kept clean on a daily basis during our stay by a cleaning lady, which was at disposal also for personal laundry stuff. The owners, which live around 50meters from the house are very kind, discrete and very helpful in case of need. If someone is looking for a house in this region with plenty of room inside and outside with a large and beautiful pool we can highly recommend it. A paradise on earth. Peaceful and quiet, but close to many interesting places and with an easy access to commerce (you’ll need a car anyway). Very big house and park: you can host a lot of friends and you’ll always be able to find a calm corner if you need it. Excellent on-site assistance by Lorella and Annibale: thanks again for your kindness. I would definitely recommend it! It was our second holiday here in the casale degli ulivi. That says more than thousand words. It was again a fabulous stay and the whole family truly enjoyed it. You can rely on the description of this homepage, as it is very accurate. A great thank you to the owners Lorella and Annibale, which were again very kind and helpful.